Junior Brandon Battelle’s part of the presentation was projected onto the screen during the meeting. 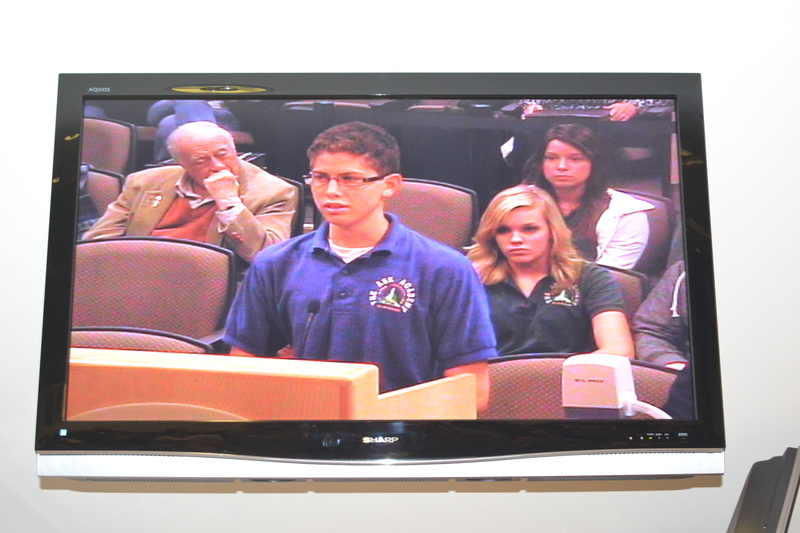 Students of Mr. Stephenson’s Honor’s Pre Calculus class presented in front of the Rio Rancho City Council Wednesday night. Scholars studied exponential and linear growth in class, and applied that to the growth of the city. They determined what the expected population of Rio Rancho would be in the future, and studied other issues that might arise from the expansion. Six of the scholars presented their findings to Mayor Tom Swisstack and other council members with a PowerPoint during the meeting. The meeting was televised via RioVision, the city’s community television channel. CableOne subscribers can view it on Channel 15. 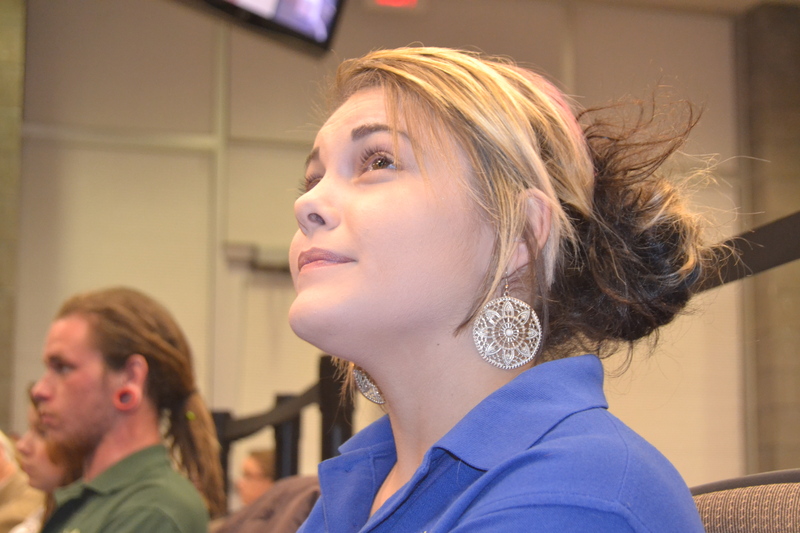 Senior Shelby Ostrom waits her turn to speak in front of the mayor and council members. After looking at a few of the bloog posts on your weeb site, I truly like your way of writing a blog. in the near future. Please check out myy website too and tell me your opinion. I am genuinely grateful to the owner of this web page who has shared this impressive piece of writing at here.